At the Automechanika 2018 in Frankfurt Johnson Controls showcases at booth E10 in hall 4.1 a new generation of services and trainings for workshops. The increasing number of electrical consumer demands and start-stop systems in vehicles need a mind-shift change at a workshop level in order to improve their competitiveness. Johnson Controls and VARTA are bringing their service offer to the next level to help workshops at every step of the battery replacement journey. This includes an enhanced VARTA Partner Portal with information and tools that will provide detailed fitment instructions for up to 98 percent of all vehicles. Through new multimedia trainings provided by VARTA, mechanics will become experts for basic and advanced battery technologies. Furthermore, the company will launch a new truck battery that incorporates innovative battery technology to prolong cycle life of the battery and reduce downtime risk for trucks that are highly equipped, for example with features such as parking cooler. 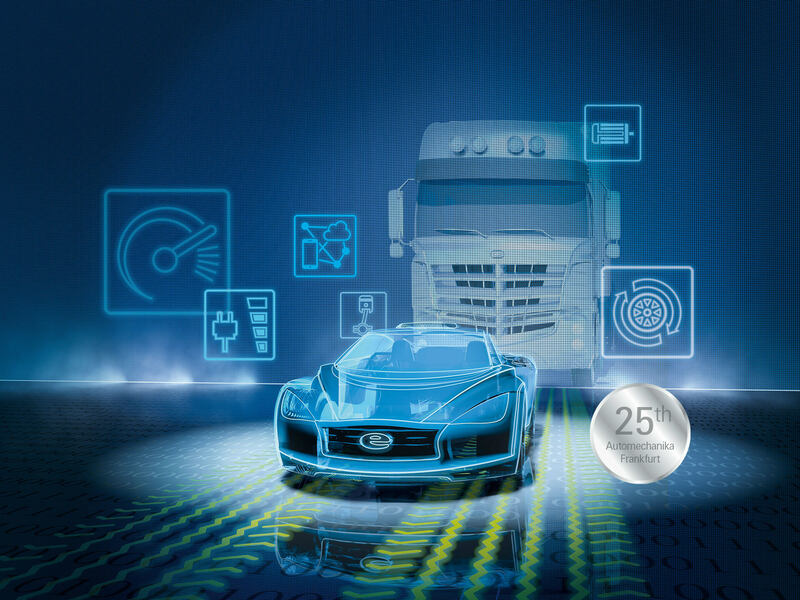 “This new battery technology for trucks will introduce the optimal solution to empower drivers, fleet manager and logistic companies to overcome todays and future challenges”, says Ulrich Eich, vice president Aftermarket EMEA, Johnson Controls Power Solutions. Therefore, VARTA will offer a comprehensive service for workshops to deliver the best products and best services to its customers. It includes an enhanced VARTA Partner Portal 2.0 providing new online tutorials as well as information on an increased number of vehicles. Finally, this offering also includes an updated VARTA Preventive Maintenance Program, related multimedia trainings and service solutions, taking into account the needs of a new generation of mechanic. The logistics sector is changing at an increasing rate. A high demand for non-stop transportation service requires trucks to be on the road longer and reduce the need for continuous battery replacements. Today’s trucks need an advanced battery technology to maximize the driver’s comfort and minimize total cost of ownership by prolonging battery cycle life and reducing downtime risk. Johnson Controls and VARTA are serving this need with the launch of a unique truck battery at this year’s Automechanika.